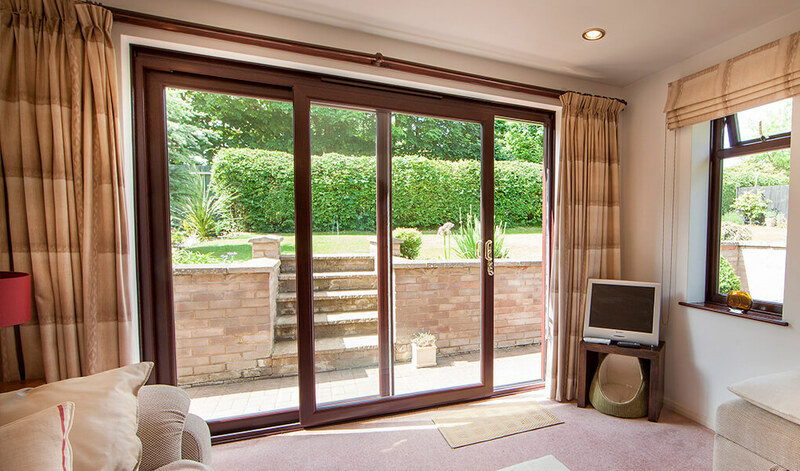 Operated via a sliding opening mechanism, a set of uPVC patio doors can transform the way you use your property. Your home will instantly benefit from a massive increase in the amount of light making its way in. And because they slide to one side instead of opening in or out, they won’t take up excessive amounts of floor space. 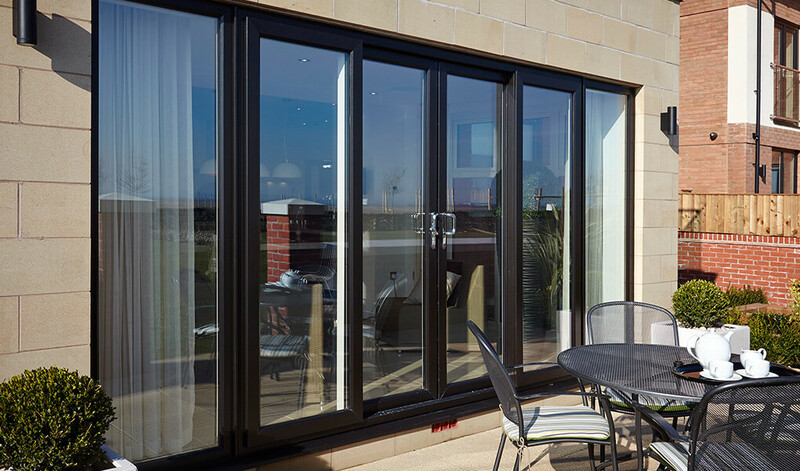 Available with 2, 3 or 4 panes, our uPVC patio doors can be configured to suit a number of applications. Suitable for small and large openings, the slender framework and wide portions of glazing allow in streams of light. Allowing for unrestricted views of your home’s exterior, the transition between the inside and outside is as seamless as possible. 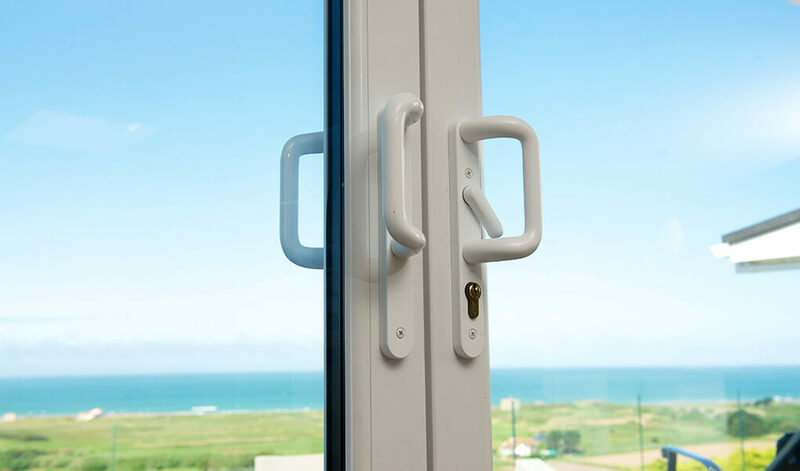 Thanks to energy efficient double glazing and naturally insulating uPVC, rest assured our double glazed uPVC patio doors will retain plenty of warmth in your home. 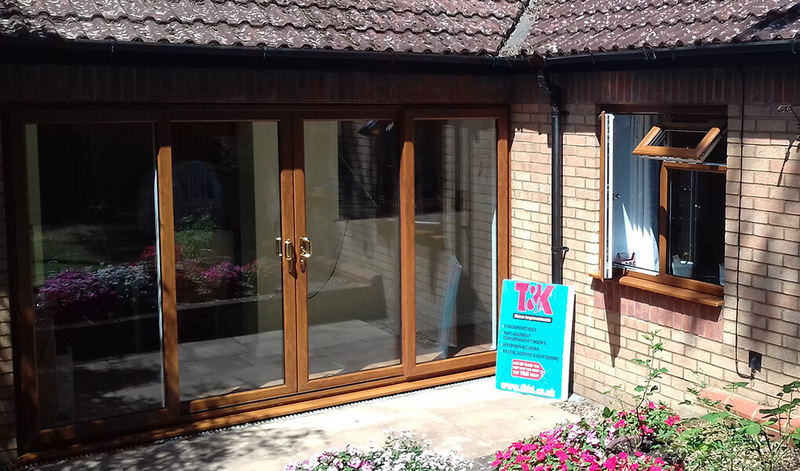 uPVC is also exceptionally durable, meaning they will continue looking great and performing as they should long after the expert team at T&K has finished installing them. Featuring a six point locking system and anti-jacking technology, security levels are nothing short of outstanding. Thanks to a smooth glide opening mechanism, slide your patio doors open and closed with relative ease. For improved accessibility and a reduced risk of tripping, a low threshold option is available. Choose from a range of top-quality colour foils and wood effect finishes. Wood effect finishes are available in a mix of flat and grained textures. Dual colour options are possible too, allowing you to achieve a different aesthetic for the interior and exterior of the doors. 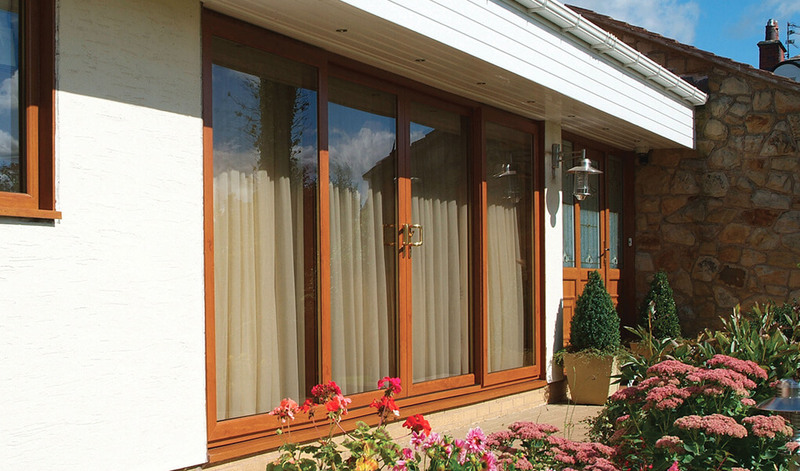 T&K’s uPVC patio doors are available with either two, three or four panes, depending on the width of the aperture. T&K ensures that the quality of the uPVC used is second to none. This ensures the doors perform excellently in every aspect. 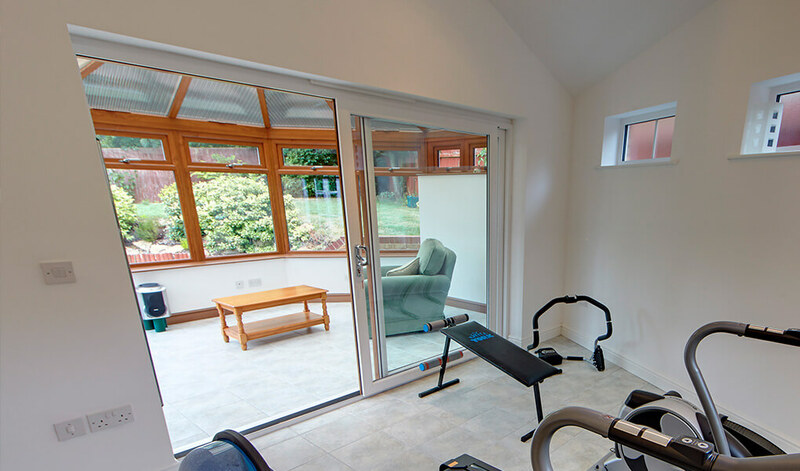 However, we also install patio doors which are constructed from aluminium and timber. The handles on our uPVC patio doors can be finished in a range of colours, including Chrome, Anodised Gold and Black. T&K can also incorporate a midrail, which is ideal for porches.